Whether it’s for your little one’s birthday, or simply a chance to have their friends over for some summer pool-time fun, a PAW Patrol Pool Party is sure to be a crowd-pleaser for the kids! We know children at this age have had different levels of swim training, so we’ve got a few options of swimming aids to choose from. Have kid’s parents help to select the most suitable swim gear for their child based on their age, weight, and swim training. 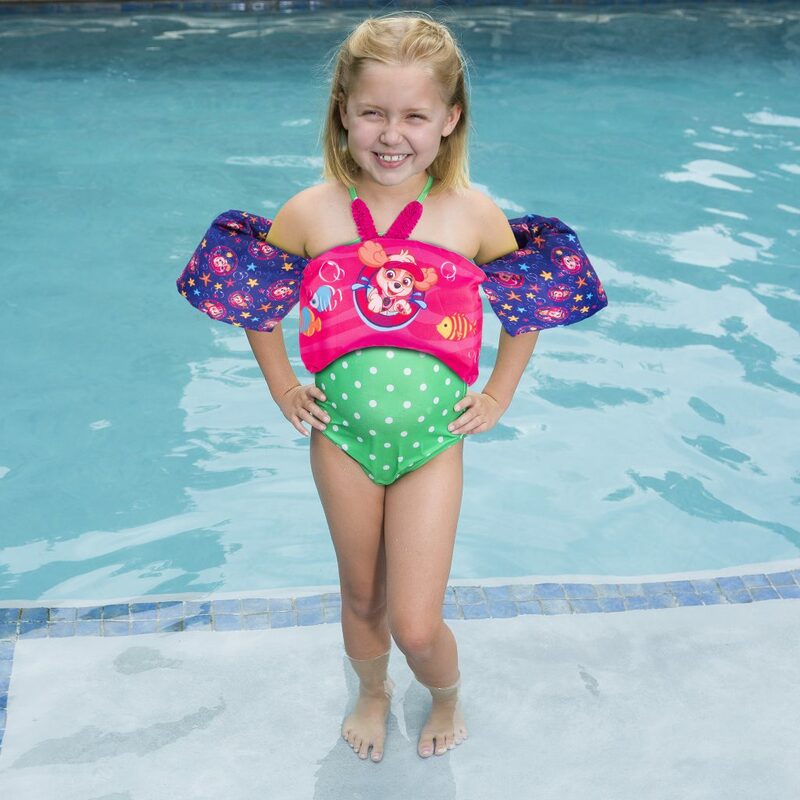 The SwimWays Sea Squirts Swim Trainer Life Jacket is a U.S. Coast Guard-approved personal flotation device for kids. It features an adjustable, out-of-reach back buckle that keeps kids more secure and makes parents lives easier, too. 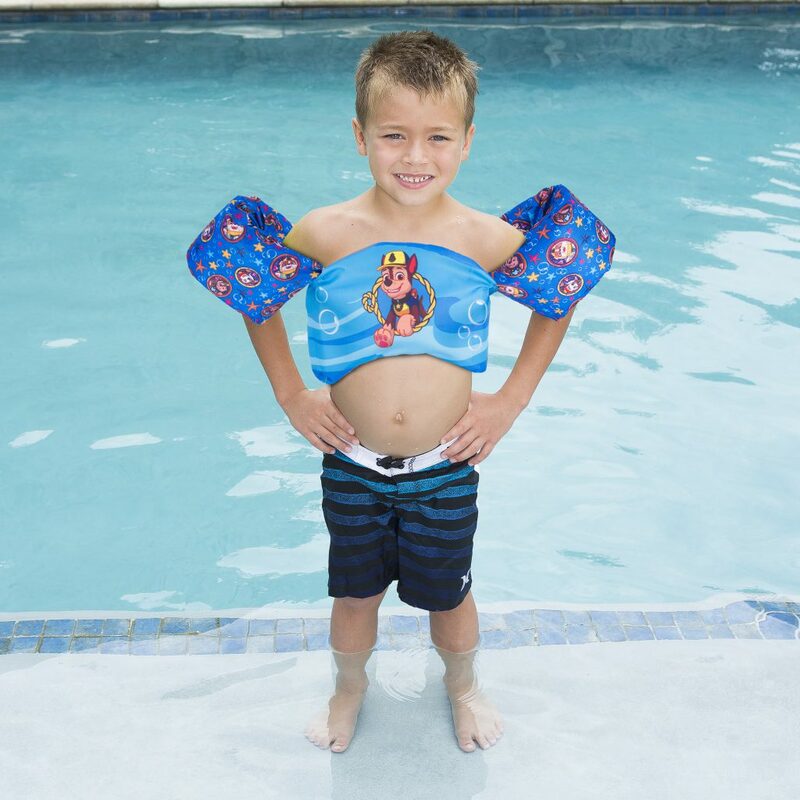 Sea Squirts Swim Trainer Life Jackets fit most children weighing 30-50 lbs. 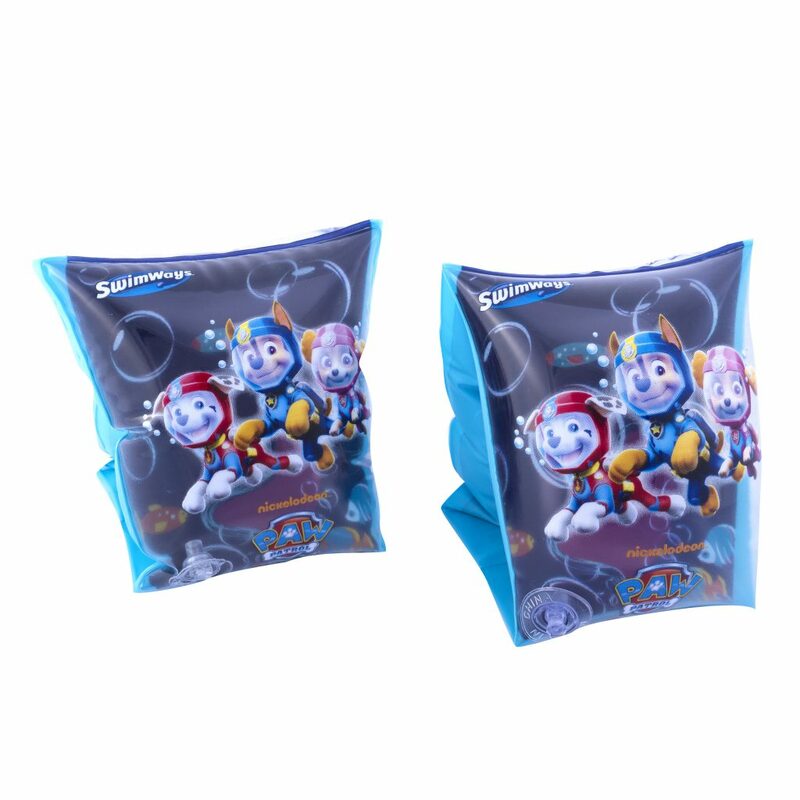 Both the 3-D Swimmies and the 3-D Swim Ring have graphics that create an awesome 3-D effect, as well as a child safety valve! For kids age 3-5. It’s no secret that children often like having their sandwiches cut into neat shapes. So why not cut them into the shape of a dog-bone? This super adorable and easy-to-make entree will be a hit! 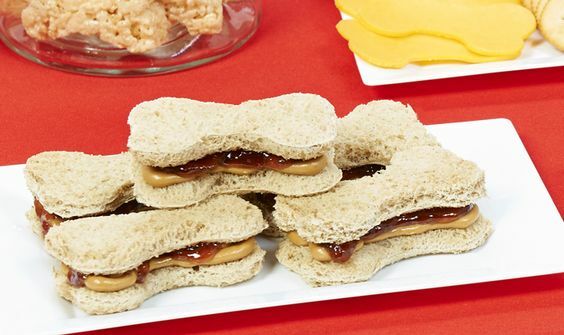 Dog Bone Sandwiches should also be a fairly versatile idea with the option to choose between PB&J, chicken salad, tuna salad, grilled cheese, ham and cheese, etc. After they eat, put on an episode or two of PAW Patrol. This will give their stomachs some time to rest before getting back in the water. Allow the kids to have their pick of goggles. 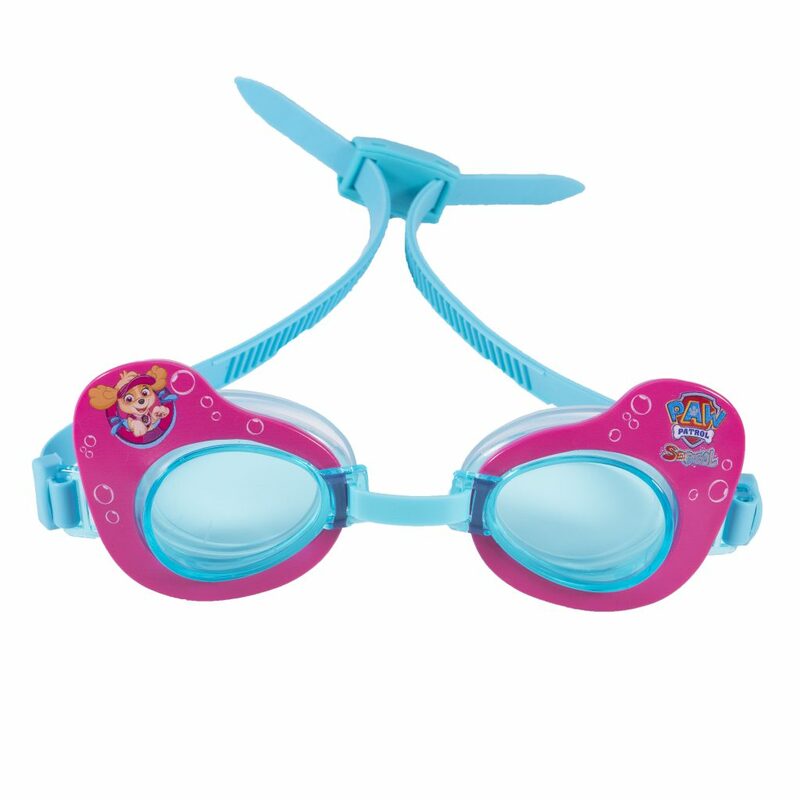 Whether they prefer Skye or Chase, we’ve got PAW Patrol Swim Goggles they’ll love! 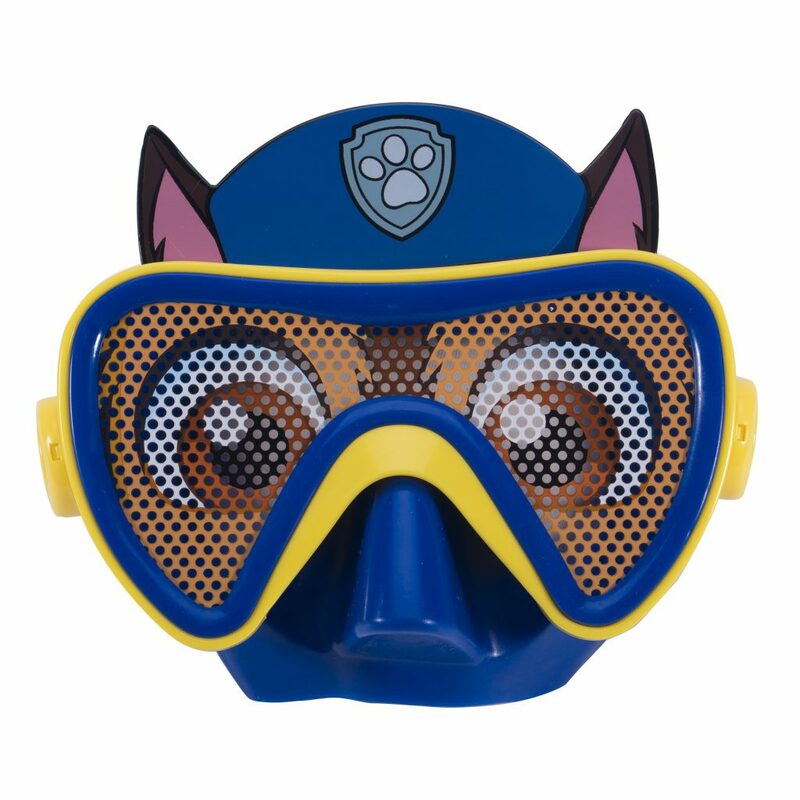 If your child is at the age where they don’t mind their nose being covered, they can go full-on PAW Patrol with the Chase PAW Patrol Character Mask! These come with an adjustable head strap and have a water-tight seal. 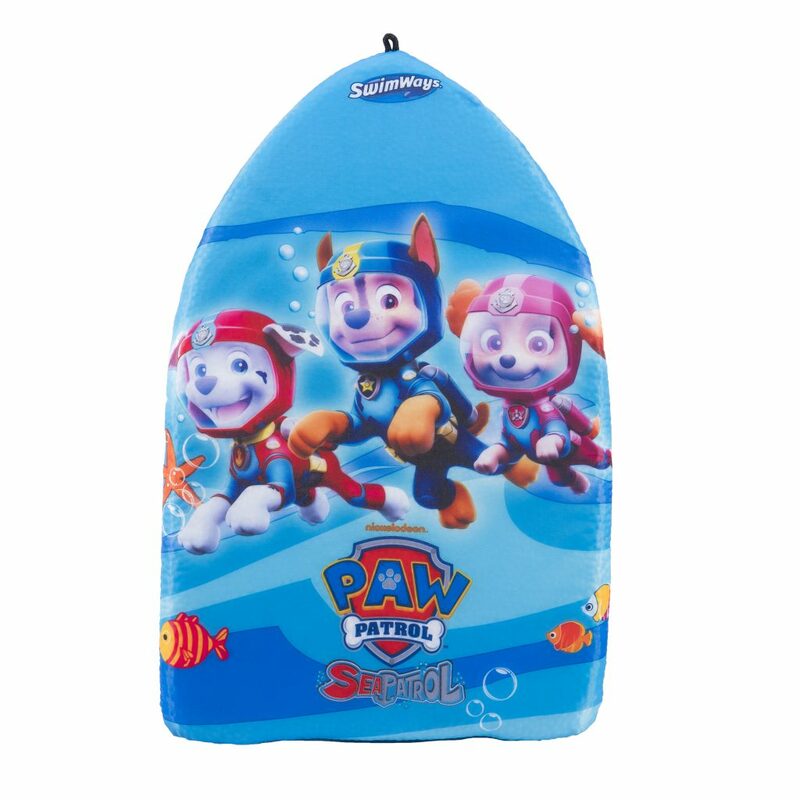 Kids with even more swim training, (ages 5+), will have a blast splashing and practicing their kicks with the PAW Patrol Kickboard, featuring their favorite characters! Chase and Skye can swim with the kids when playing with our Paddlin’ Pups pool toys! These wind-up toys are great fun for the pool or bathtub and would be an awesome item to include at the party! End the party with another awesome Paw Patrol food item! 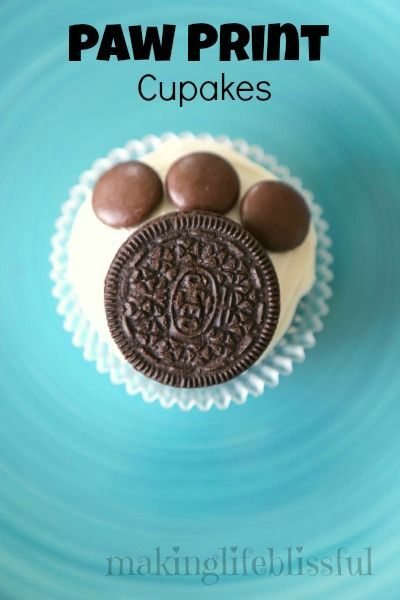 Hand out these cute Paw Print Cupcakes and send them home with the kids! 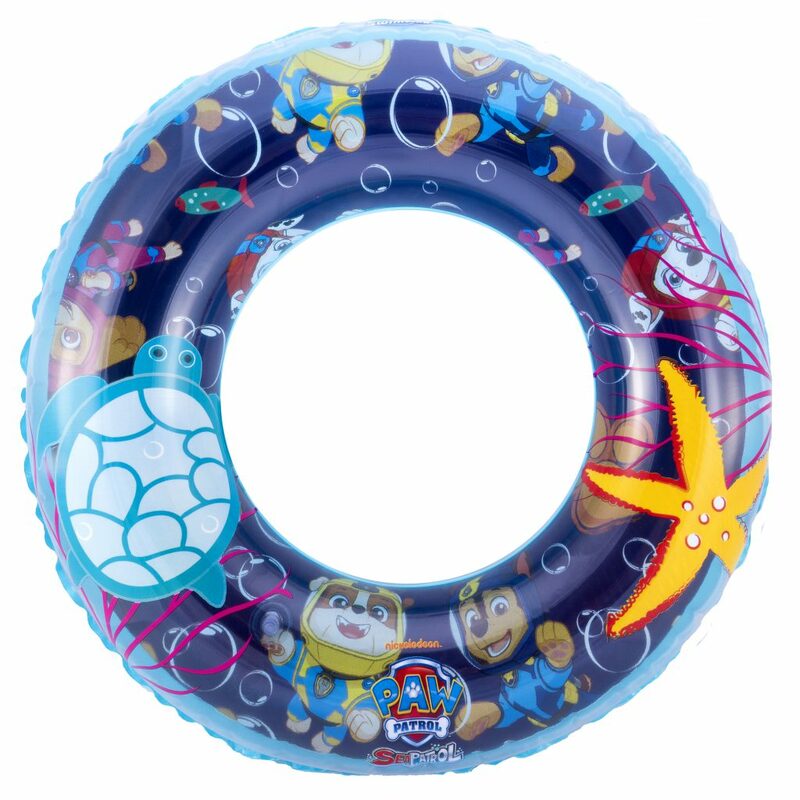 If you decide to have a PAW Patrol Pool Party, we’d love to see some photos! Tag @SwimWays on Facebook, Instagram or Twitter!